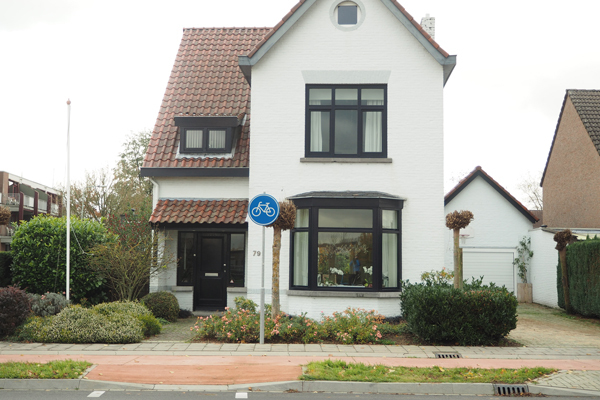 Imagine a fietspad right outside of your house. I would jump on my bike every time I look out the window. 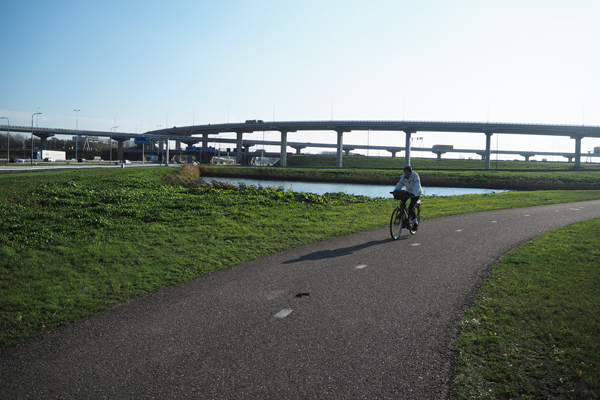 When cycling between Dutch cities, I noticed bike infrastructure is as proliferative in suburban areas as in more central and denser areas. It’s a continued and comprehensive network of cycle tracks that would take you from your home to the city center, a few miles away. 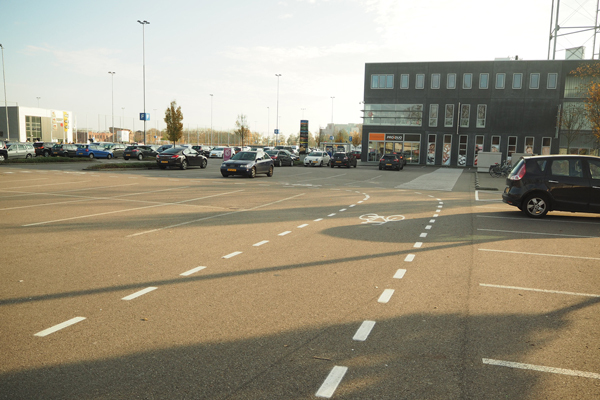 Like suburbs in America, a Dutch suburb does have big retail boxes, plazas, and big parking lots. Yep, a parking lot that has a bike lane through it. I have always thought that cycle tracks implementation in urban areas should be priority number one but I don’t think that’s necessary the case anymore. It’s the suburbs that actually need cycle tracks as much or more than in the city. Urban cities in the States already have walkable neighborhoods and decent public transits, where suburbs don’t and their public transit is insufficient. Beautiful cycle tracks in Dutch suburbs. Do you think your children would get to school safely? In the States, suburban cities dominate the landscape and once couples have kids, it is almost always the case they move to suburbs for larger homes with yards, better schools and more personal safety. And that’s where suburbs stop. Streets are actually more dangerous for kids because of cars and wider streets with higher speed limits to facilitate driving even more. Many suburbs have urbanised and become congested with cars. If you’ve driven through San Mateo in Northern California or San Gabriel of Southern California, you know what I am talking about. The effect of children getting driven everywhere, relying on their parents, and lock inside at home must not be good for their welfare. These problems can be reversed simply by having bike infrastructure. Doesn’t this look similar to freeways in America? 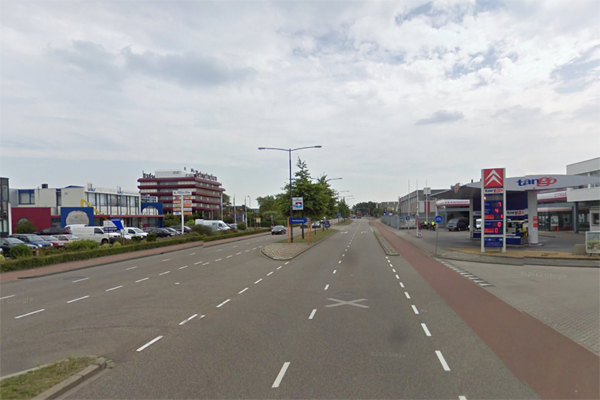 Yes, a bike in a Dutch suburb can get you anywhere like a car. It’s actually easier to build bike infrastructure in suburban than in urban cities. The real estate is cheaper and there’s a lot of space. We have seen some American suburban cities have started to follow suit. Some California suburban cities like Davis, Palo Alto, and Berkeley (all college towns) have done quite a bit but don’t go far enough to provide complete street safety for all ages. We see ‘bicycle blvds.’ on side streets but lack traffic calming features. On major streets, the famous ‘bike lanes’ to the left of parked cars is not going to reduce collisions with cyclists. There are ‘greenways’ where bike paths are away from streets but they are short and don’t go everywhere. 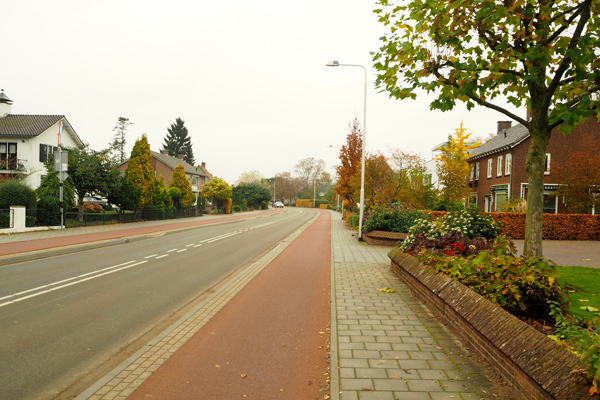 Off-street bike paths are very popular in residential areas of the Netherlands. This street looks like any busy boulevard in American suburbs, but with cycle tracks and less car traffic. Suburbs will only get more congested and road space for cars is going to get harder to remove, so city officials need to get very serious sooner than later.